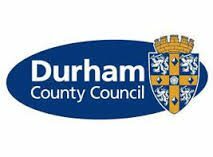 A member of Durham County Council’s Cabinet has written to MPs on behalf of the authority calling on them to lobby the government to tackle a national shortage of GPs, after raising the issue at a council meeting. Cllr Lucy Hovvels, the council’s Cabinet member for adult and health services, has issued the letter after tabling a motion at the last meeting of the authority’s full council. The motion, which was passed unanimously, urges local MPs to use their influence in Parliament to help attract, recruit and retain GPs across the country. It also suggests the introduction of a weighting system, which would see those areas where there are significant difficulties in recruiting GPs, treated more favourably. The motion says: “As GPs get older and wish to retire, it is becoming increasingly difficult to attract, recruit and sustain new GPs as there is a national shortage, which needs a national solution. “There is strong evidence that GPs prefer urban locations over rural ones and County Durham is not isolated in this challenge. This trend is increasing in rural areas across the country and a preventative approach is required. “With a national shortage of GPs, a higher proportion of GPs are choosing to work in the south of England. The motion outlines a number of initiatives that have already been introduced by Clinical Commissioning Groups (CCGs) in County Durham to tackle the problem. These include the GP Career Start Scheme, which has already attracted 19 GPs, who will join a practice for a minimum of two years with the expectation that they will remain at that practice. Two CCGs are also part of a bid that, if successful, would see a regional approach to recruiting doctors from overseas. Plans are also progressing to introduce Teams Around Patients, which would see GPs working more closely with one another in order to improve access to services. Dr Stewart Findlay, chief clinical officer for NHS Durham Dales, Easington and Sedgefield Clinical Commissioning Group, said: “We welcome this support from Durham County Council as we work together to improve the quality of services that we provide for the population of Durham.